Last weekend I started off a post about a Lotus Esprit with this paragraph: Warning: This is a Lotus Esprit that needs work. Before buying it, take a good long look at it. Figure out what it needs and how much it's going to cost. Then, for good measure, take that figure and double it. 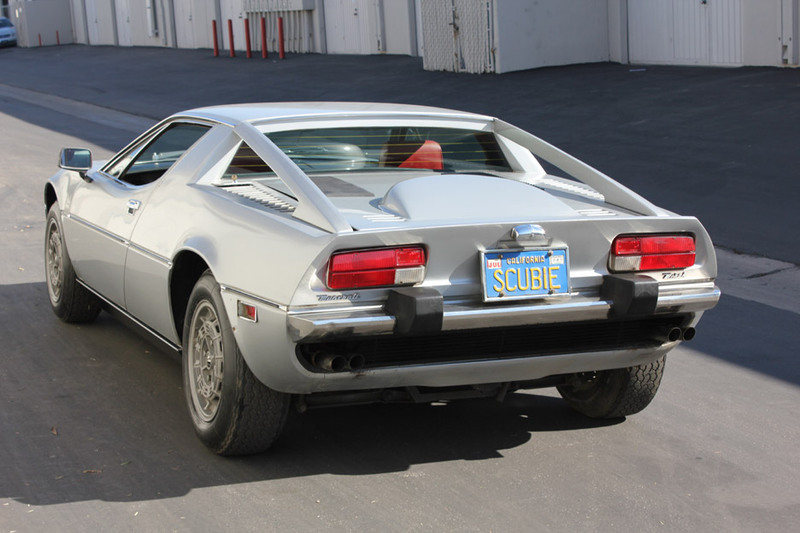 For this post replace the words "Lotus Esprit" with "Maserati Merek". 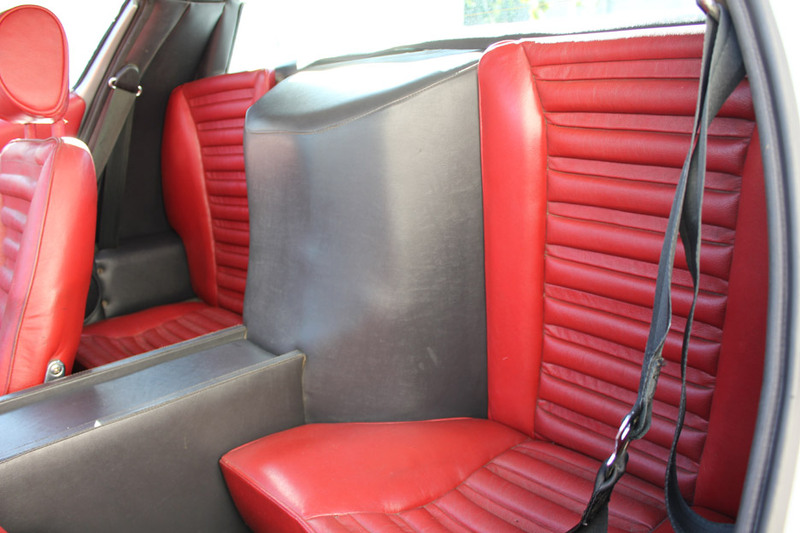 The Merek was, for all intents and purposes, a Bora with a 6 cylinder engine instead of an 8. Maserati was owned by Citroen at the time and the 6 is essentially the same Maserati engine found in the Citroen SM, but with its displacement increased to just under 3 liters. 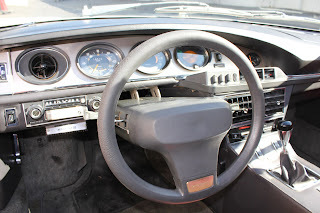 Also coming from the SM was the dashboard with its funky oval gauges. The Merek shared the Bora’s chassis, suspension, steering, Citroen sourced high-pressure hydraulic brakes and forward structure ahead of the B-pillars. From the B-pillars back there was enough of a difference to make the Merek unique looking. With the smaller engine taking up less space than the V8 did in the Bora, Maserati was able to add a second row of seats that were suitable for small pets or children you didn't like very much. The Marek is not an especially quick car (it takes 9 seconds to get to 60), but it handles superbly. This car has 19,000 miles on it. It is completely original. It has some minor rust below the gas tank. According to the seller, it "starts right up and is drivable, however, the tires should be replaced prior to driving". The big red flag concerning this car is the last line of the seller's ad, which reads: "Has been in storage since 1979". Maseratis (and just about all Italian cars, for that matter) hate not being used. If, over the past 31 years, this car has been started and driven occasionally, it might not be too bad. If it hasn't been, this car could turn out to be a nightmare. This car is a gamble. On one hand it's a very nice, low mileage, original car. There are very few of those around. If it was maintained during storage and doesn't need a lot of work, the asking price is very reasonable. 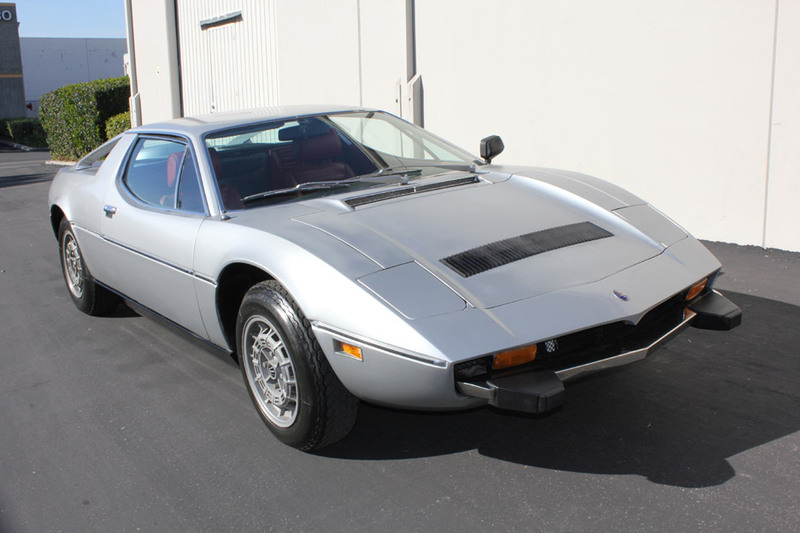 On the other hand, if it was ignored for most of the past 31 years, it's going to need a lot of work in the future and the asking price is just the entry fee to a very, very expensive project car. Located in Orange, CA, click here to see the eBay listing. That's the SM's dash alright. Now, if there is any worse place to locate the head unit (between the front seats), then it must be to the LEFT of the steering wheel. Scroll down for SM interior shots. Should anyone recall the Top Gear cheap supercar challenge - Clarkson had one of these and it was a dog. He had the last service bill from the P.O. which totaled 3/4 of the purchase price. Looking at this example I see cracked duct work feeding the air cleaner, repaired w/duct tape....old hoses under the hood, an "Economy" brand battery. I have a feeling every plastic/rubber part on this car is toast and every recent repair is of the economy and duct tape sort. Run, don't walk away. @G___: But his was an "SS", supposedly. Looks like a hand grenade with the pin pulled. The 1st check will be one of many and possibly one of the lowest. I agree with G___ run, don't walk away. What is wrong with using 'Duct' tape to repair the air 'Duct'? Is that not the express purpose for such a thing? i agree 100% that if this thing has sat for that long it, at the very least needs a complete rebuilds and replacement of all gaskets and seals. So expect to throw a lot of hours at it. But parts are findable. If you can DIY, then do it. This car doesn't scare me. But if you are going to go through the trouble and time, do it to a Bora. If this is on your list, I would offer 10 and expect to put another 5-10 in and you would have a nice 20k car. As long as you put zero value on your time. Lucky for me this is not on my list. The big Wildcard I see is there are no pics of the floor pan or suspension. There is no way in $%&#@! 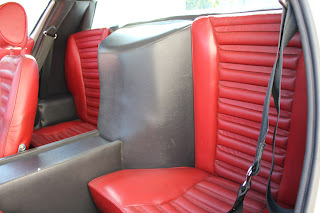 the drivers seat got that much wear and tear in 19k miles. Unless dude was wearing a sandpaper leisure suit. I hear they were popular amongst the Italian jet set in the 70's.